Vishy Anand didn’t win a game in the rapid section of Tata Steel Chess India, then started with two draws and a loss in blitz. 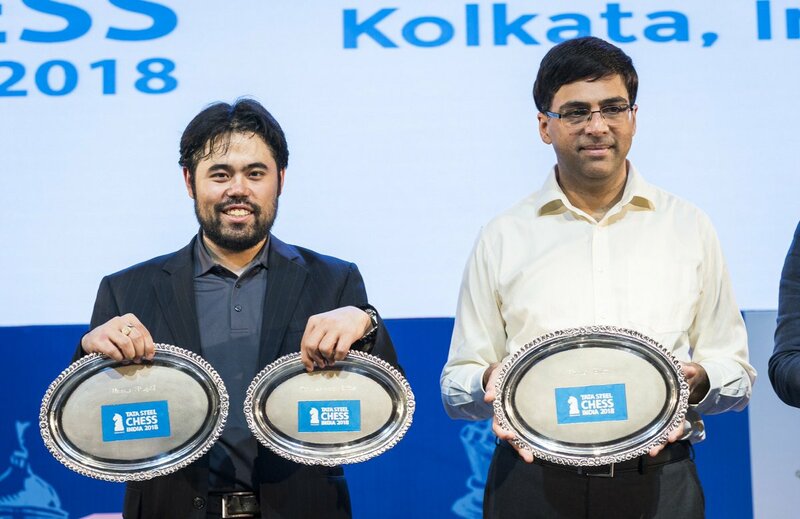 His local fans in Kolkata may have been losing hope, but suddenly he won the next 3 games, qualified for a playoff against Hikaru Nakamura and won it all! 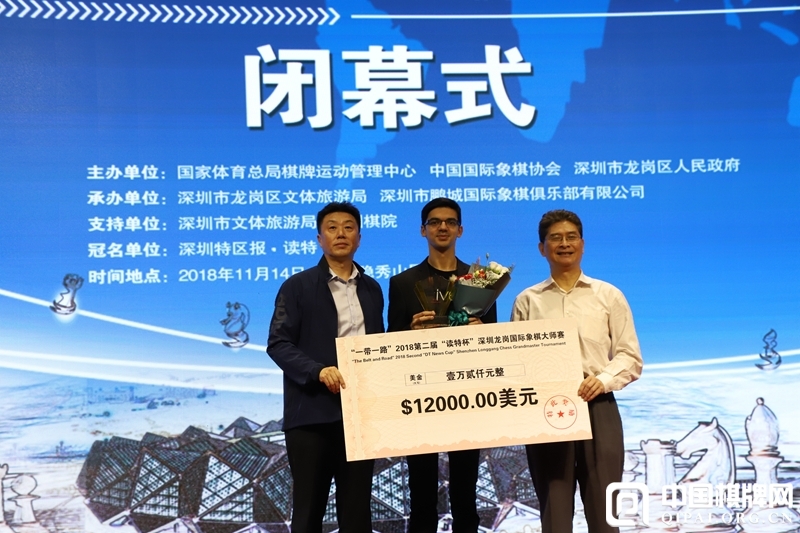 Meanwhile in Shenzhen, China, Anish Giri ruined a run of 9 draws by winning the final game against Radek Wojtaszek, but was still edged into second place by Maxime Vachier-Lagrave. In Khanty-Mansiysk four of the favourites reached the Women’s World Championship semifinals, but 18-year-old Zhansaya Abdumalik showed great fighting spirit as she just missed out. Garry Kasparov once said that the chess world is “a better place when Aronian is playing well”. The same goes for Vishy Anand playing well in India! The Tata Steel Chess tournament that ended yesterday was a well-organised celebration of chess in a country that has been starved of top-level action for decades. It came just at the time when India has developed into a chess superpower, but if one thing was dampening the show it was that Vishy, the 5-time World Champion who had single-handedly inspired thousands of youngsters, wasn’t firing on all cylinders. He drew eight then lost the final game of the rapid, and after two draws in the blitz admitted that his game against Sergey Karjakin was a catalogue of errors that culminated in losing on time in a drawn position. All hope seemed lost. The winning plan here seems to be to play Kd4 and Ng3, in either order, then sacrifice the knight on f5 as the king runs to the a6-pawn. The passed pawns on the a and e-files should prove too much for Black. 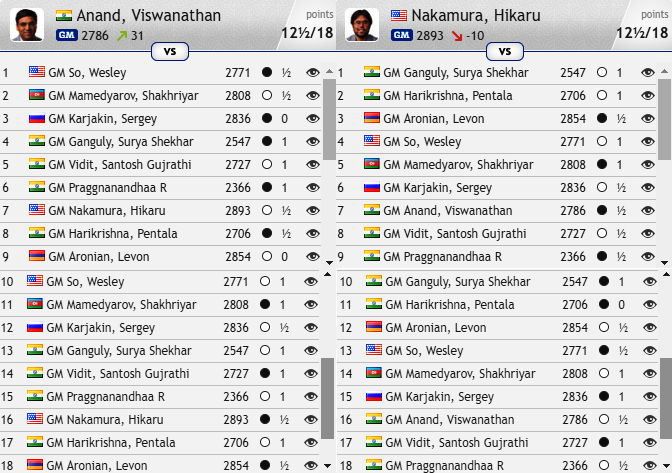 That was Praggnanandhaa’s second draw from a lost position against Nakamura, while he lost both games to Vishy, meaning he’d done his bit for the Indian cause! The white a-pawn can’t queen while the white king is unable to leave the a-file, but Nakamura’s 47…Ra3? allowed the king to become active (48.Kb7!) and in under 10 moves Black had to resign with the a-pawn unstoppable. Vishy was of course delighted with how things had ended! As Vishy said, he's no longer alone in Indian chess! 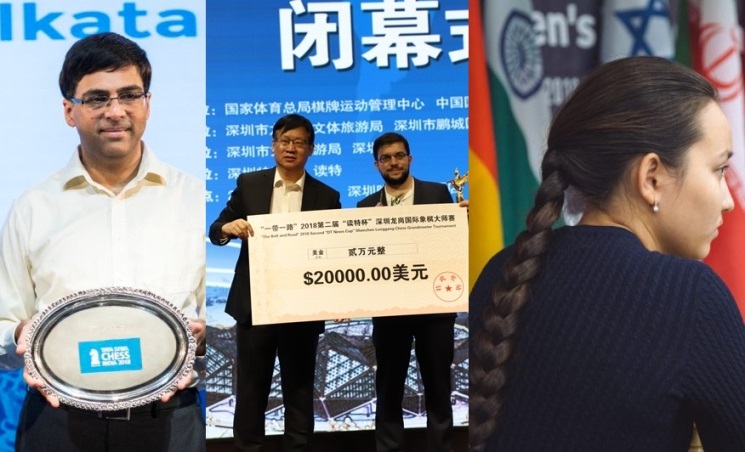 Since we last reported on the Shenzhen Masters there was one round that lived up to expectations with all three games drawn, then the final round in which two games were drawn, but Anish Giri beat Radek Wojtaszek for only the 6th decisive game of the 30 played. In a way that wasn’t a surprise, since Radek couldn’t keep up the form he’d shown on the Isle of Man and lost the last three games with the black pieces in China. On the other hand, though, drawing all 10 games was within touching distance for Anish! But Maxime Vachier-Lagrave got the very healthy $20,000 based on tiebreaks, either Sonneborn-Berger, or that he’d won the “mini-league” between the three players on 5.5 points. 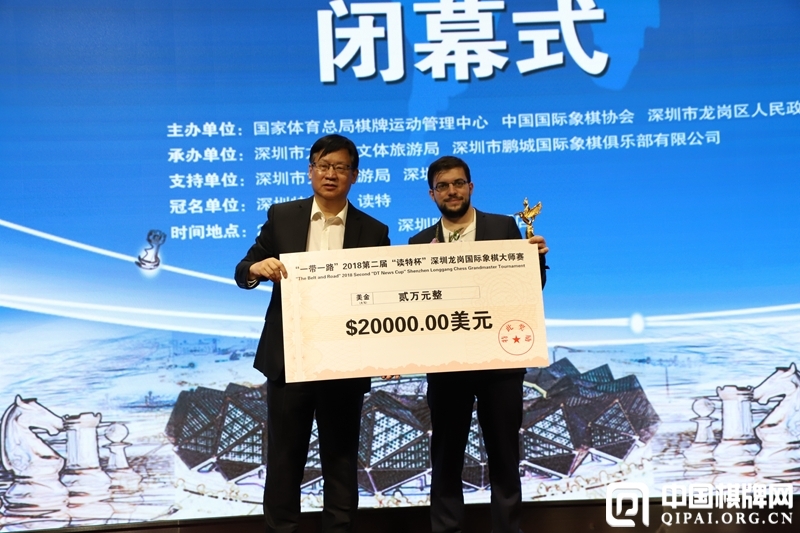 Whatever the reason, it was hard to argue that he hadn’t deserved it for the feat of ending the 100-game unbeaten streak of Ding Liren, who took third place. Ding’s new streak is 3 games! 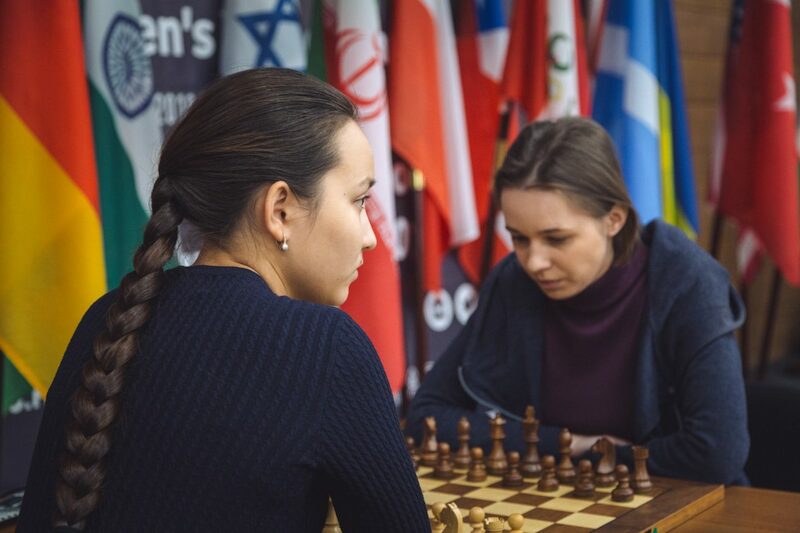 The other huge chess event at the moment is the Women’s World Championship in Khanty-Mansiysk, which remains in full swing. Once again in a big knockout we’re seeing that things aren’t nearly as random as critics suggest, since only 2500 players now remain for the semi-final stage. 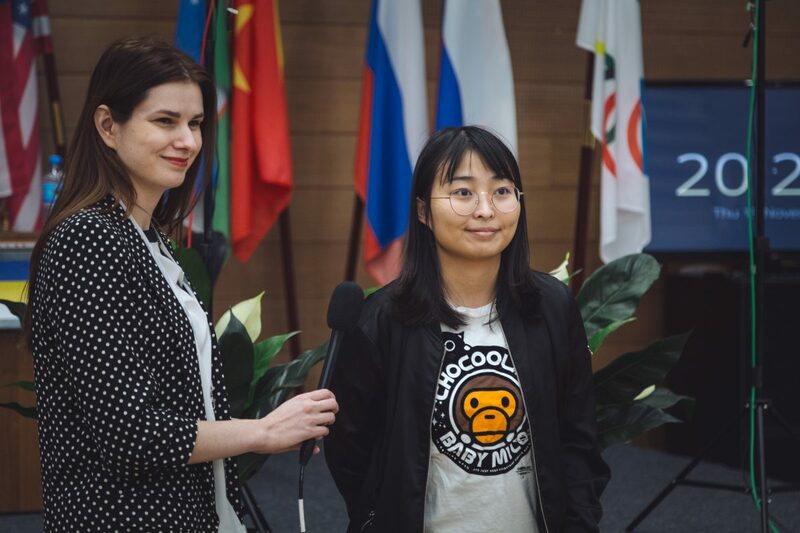 Women’s World Champion Ju Wenjun hasn’t needed tiebreaks once yet, and ended the valiant fight of 19-year-old Gulrukhbegim Tokhirjonova with a win in the second classical game. Kateryna Lagno, meanwhile, was the first player through, after beating 21-year-old Lei Tingjie of China 2:0. 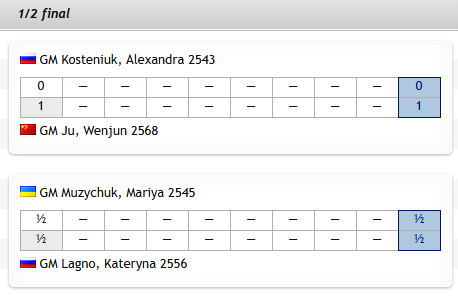 The other two matches went to tiebreaks, with the one formal “upset” being 2543-rated Alexandra Kosteniuk overcoming 2564-rated Anna Muzychuk. After two draws in the classical games Alexandra won with White in the first 25+10 game, but it looked as though the match would go on when Anna played 1.f4 and went on to build up a crushing position. She couldn’t find a knockout blow, however, and Kosteniuk was able to make a draw from a position of strength to reach the semifinal. It was worth doing that even if Zhansaya had no idea how many moves had been made (no doubt the case as this was blitz), since all it would mean would be a little embarrassment. She showed her fighting spirit to go on and win the next game anyway, but in the end it wasn’t to be. The semifinal line-up is therefore formidable, with the current World Champion Ju Wenjun, two former World Champions Alexandra Kosteniuk and Mariya Muzychuk, and the world no. 4 and Russian no. 1 Kateryna Lagno! All four of those players are guaranteed a place in the next Women’s Candidates Tournament, while, as you can see, Ju Wenjun already has a foot in the final after a 77-move win with Black in the first game of the semifinal. It's still only two classical games at this stage, before the final will consist of four games and determine the new, or new and old, World Champion. Follow all the action here on chess24!